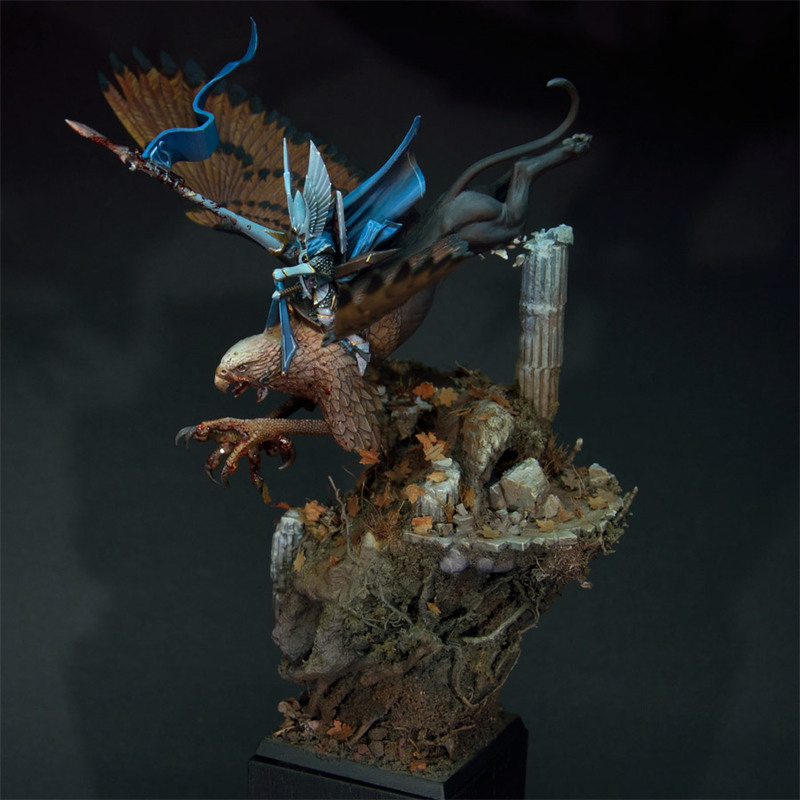 MASSIVE VOODOO: Step by Step - Pimp your Griffon! 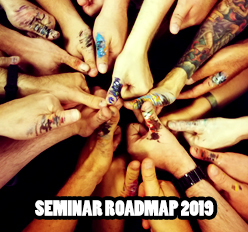 this time I am able to bring you another weird article and I allow myself to call it a step by step, BUT it is not in fact. It is the second "He got pimped!" article you now can find in the article section. I once pimped a gladiator bust and you can find the related article here. I promised the new owner to do some more things on the griffon as by time - as he comes to age - I see areas I wanted to do different. That is why sometimes I pimp stuff. Sometimes there is just something rolling in the deep. Now to the point why this article might get confusing. The early photos are not the best from their quality and it is even hard for me to tell the difference, but I will try to explain and I hope my words are of any interest for some of you. I will now show you the figures early finish that I did back in 2011. I was never happy with the cat booty and the highlights there. There are sculpted muscles but I did not paint them properly with enough definition. 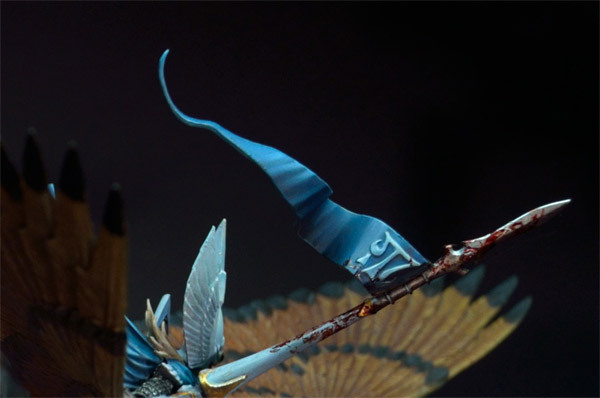 I was not sure about the freehand work I did on the cloaks, could go much more finer and structured there. There was a mould line on the upper flag and I had to scratch away the paint and redo it again. I was not sure about enough highlights and colours at the base. I was not happy with the contrasts of the eagles face and the detail sorrounding it. So it was time for pimping it up! I told you I did cut away the evil mould line and redid the banner with a stronger blending from dark to bright. Also cleaned the weapon from several mould line rests and made it more bloody as I imagined how this guy is using this weapon with the force of a striking griffon. Splosh!! I wanted to create even more movement to the already dynamic base and figure composition. Just the leaves wasn't enough for me when I went for the pimping. 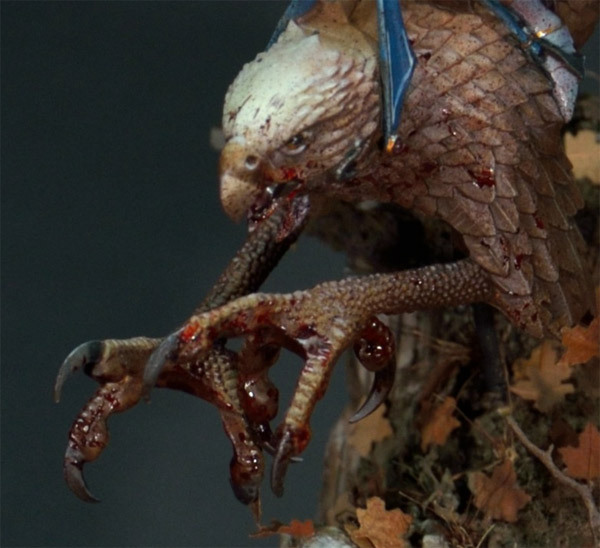 So I decided to let the griffon hit the column with his body and strike the stones of the column in his flight. I did so with the use of small plaster pieces and superglue - painted it later on. I was not happy with the detail on the eagles face so I redid the eyes, put more highlights on the upper head and at the claws. I've concentrated working on the cat booty with bringing in some cold highlights, gentle ones to give the muscles more definition over there. Also I concentrated on some minor areas of the guys armour to clean it up with strong white and make it even more powerful. I added some stronger highlights to the base stone parts, also more definition. I used some gentle purple in the shadows of the base to bring more complementary contrast to the overall colour composition of the base and I took my time to clean up the freehand areas. As I told you the photos are some kind of crap when it comes to exact comparision as both are not truely what the figure looks like in real. Somewhere in the middle - you know how strange it sometimes can be when taking photos of figures, do you? There are 6 Kommentare for Step by Step - Pimp your Griffon! Did you change something on the wings? They look darker now -or is it only the picture? The darker cat-part looks better, but I would prefer the lighter wings, cause the colour fits better the autumn -theme. 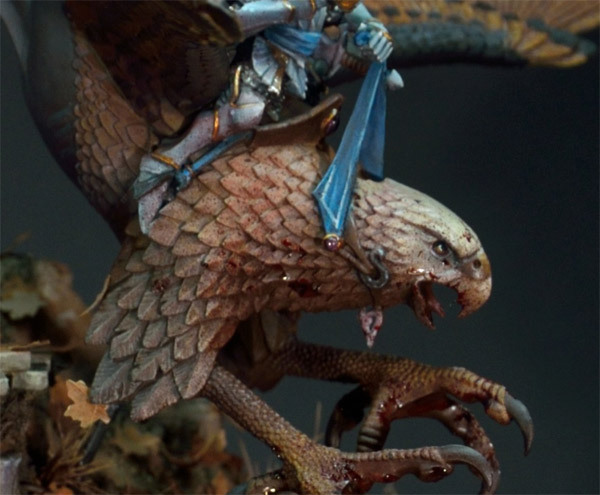 I didn't realise the eagle is not a high elf mini - where does the eagle come from? Also did you sculpt the cloak on the rider? As my friend is looking for a similar cloak for a high elf. Thanks. 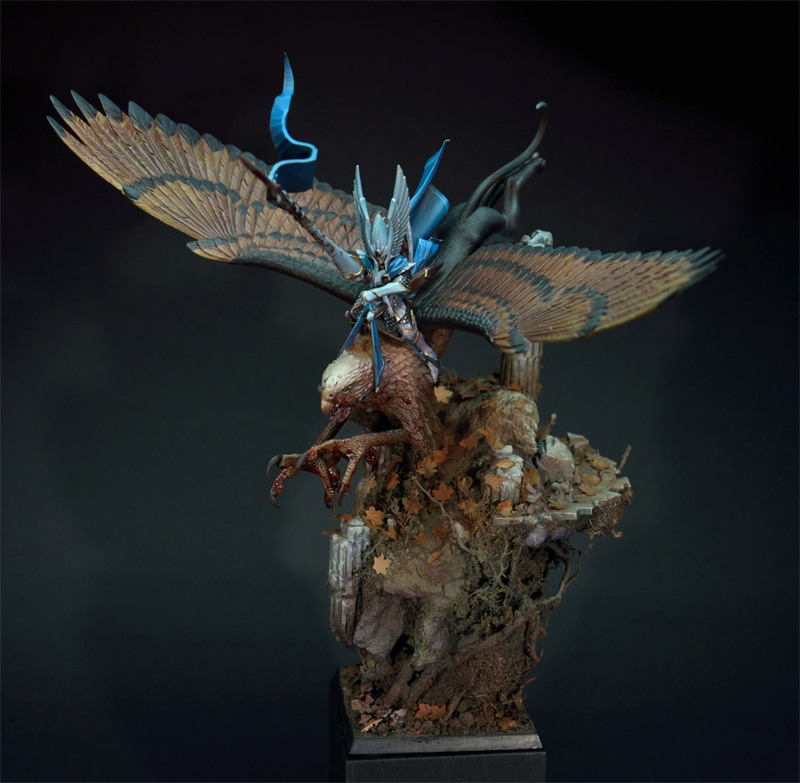 @ Weisern: It is an highelvemini from warhammer fantasy. You get it with the starterbox just like you see it. Thanks for the help - yes, Weisern, it is the a basic model without any sculpting stuff. Starter Box WHF. Great, thanks. That's why I couldn't find it on the GW site. I didn't look at the army box sets.